Working from home can be a lifesaver for all kinds of different people but as many of you know, I try to focus on work from home jobs for moms. 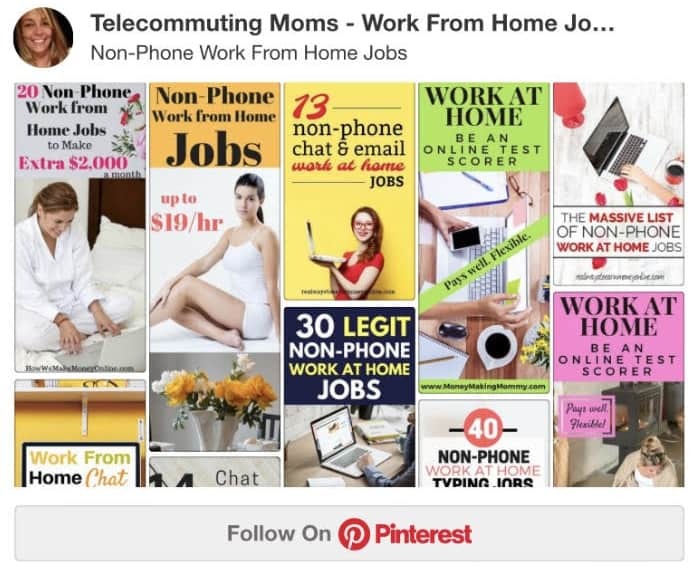 Some of the easiest remote jobs to get are the call center jobs but those often are not a good fit for stay at home moms because of the need for a quiet background. For this reason text chat operator jobs from home can be a great option. What are Text Chat Operator Jobs From Home? Most of these positions are customer service based jobs similar to virtual call center jobs but they require no phone calls. Instead you are helping customers out through a chat based system where you can answer questions or help them resolve problems through chat. These types of jobs are becoming more and more common. If you have noticed many different websites now have a chat option available for customers to use while on their site. If you are like me and hate getting on the phone with noisy kids in the background I use the chat feature on a website whenever possible. Often times you can get a response quicker and without having to talk to anyone (for all of you introverts out there). For these reasons I wouldn’t be surprised if these types of work from home positions become more and more common. Most of the companies that hire for these positions require you to have previous customer service experience, a computer, high speed internet, be able to communicate clearly, be friendly, and have a decent typing speed. For specific requirements check with each company. What Companies Hire for Text Chat Operator Jobs From Home Positions? Text Chat Jobs From Home with Ginger.io -This company offers around the clock care for people suffering from anxiety and depression. The company hires those with a degree in the mental health field as therapists and psychiatrists to chat to those in need. This position offers therapists the opportunity to practice from their own home or office. You can also provide teletherapy to patients over a video platform. Capital Typing– This company hires for transcriptionists and writers frequently but they also occasionally hire for chat jobs. Apple Work at Home Jobs– The main Apple work at home job usually available is called an at-home Advisor position. Basically it is a customer support position that operates through online chat. Agents assist customers with technical support and general customer service issues related to iTunes. Multi-tasking, organization skills, and troubleshooting experience is desired. This position comes with competitive pay, benefits, employee discounts, and participation in the company stock plan. Live Chat Operator Jobs with Support.com- Support.com is a company that provides consumers and business tech help. They hire work from home live chat operator jobs to offer customer service and tech help through their chat channels. The company has been around since and has worked with remote agents for a long time so they are well established in the work from home industry. Text Chat Operator Jobs with Sitestaff- This company hires for chat host customer service positions they call “chat hosts”. They assign you to different clients so the position varies a little based on which client you are assigned to. Pay is around $10 an hour. SiteStaff gives their text chat operator jobs the title “Chat hosts” and often has frequent openings for work at home positions. If you’re interested in these work from home jobs, it’s important to stay on top of the job listings that they list on their site. Work at home online chat agent with Needle- Assist shoppers through chat. This company used to pay hourly but now pays by points redeemable for Visa gift cards. Needle is an online live chat sales platform. They work with different brands by offering live chat assistance to customers shopping on the brand’s website. They hire online chat agents who have the knowledge to match their brands. Best Buy occasionally hires for chat positions. This is more of a tech support position and you must have previous tech support experience for these text chat operator jobs from home. Chat Operator Jobs with The Chat Shop-provides chat based customer service for large companies. You must be able to work 20-40 hours per week. Chat operator jobs at The Chat Shop are different in the fact that The Chat Shop company works for a wide variety of clients. One moment you might be answering questions about a product, the next you may be talking to someone about a varying service. LiveSalesStaff hires for chat based customer service positions. Email the hr email address on their website for more information. Sedgwick hires for an email support position so this one is a little different than the other text chat operator jobs from home but still does not require phone work. LiveWorld hires for multiple types of work from home positions. Some of their customer service positions can be chat based or may be more social media messaging based. Live Chat Operator Jobs From Home with Modsquad- this company specializes in digital engagement. Their digital engagement specialist position includes online chat or moderating communities. You’ll need a computer, secure internet access and a workspace that is private, secure and noiseless. Then each project has specific requirements for skills and equipment. LivePerson hires for some customer service based positions that are phone based and others may be more chat based. 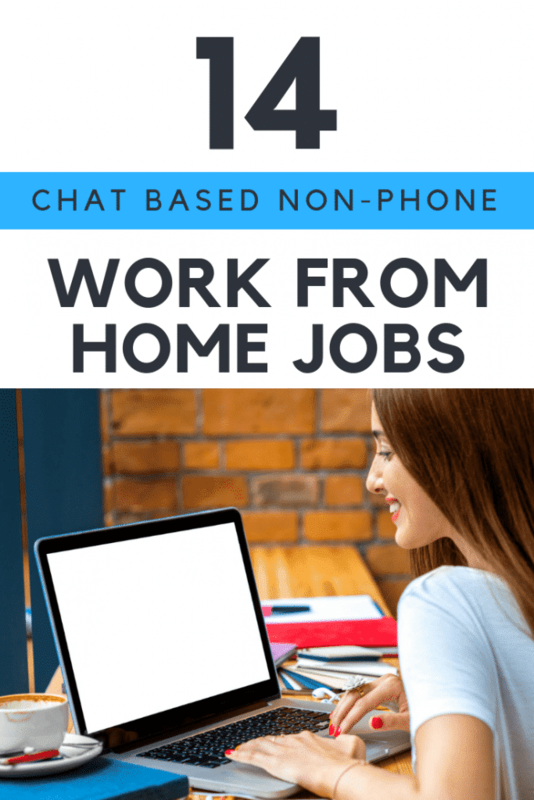 If you need a non-phone based work from home job these text chat operator jobs from home options are a great place to try especially if you love chatting with people and helping them resolve issues. For more non-phone work from home ideas visit our Pinterest Board dedicated to this topic.